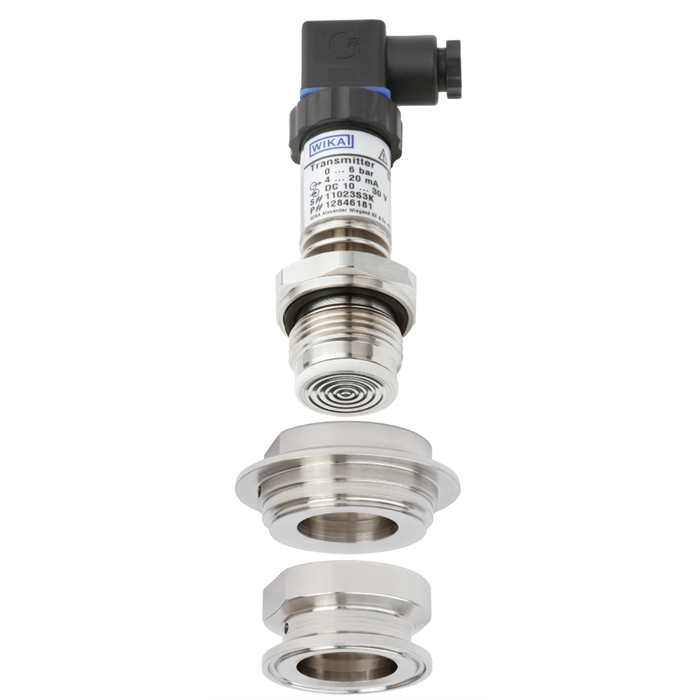 WIKA has now developed a process adapter system for measuring instruments with hygienic connections, which meets the high requirements of sterile engineering processes. 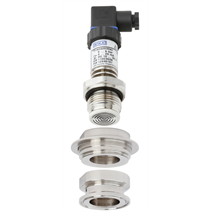 It consists of a pressure gauge or transmitter with a mounted adapter and is certified to 3-A Sanitary Standards. The flexible, modular system enables the connection of a wide range of aseptic process connections such as clamp, threaded, VARIVENT® or NEUMO®. All parts are manufactured from 316L stainless steel. The O-ring for sealing the process (optional), available in EPDM or FKM, is approved by FDA, USP Class VI and 3-A 18-03. With this adapter system, customers can switch to measuring instruments with different process connections in a very short time. Therefore they can reduce long downtimes and inventory costs.